to Hollanders and the Scandinavian market. 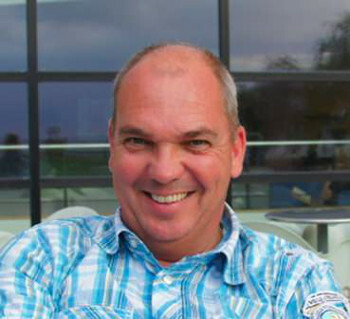 Joost Verpoort has joined Hollanders Printing Systems as sales consultantHollanders Printing Systems has confirmed the appointment of another experienced addition to its sales team, Joost Verpoort. He joins the company in a consultancy role as a complement to his other business activities in the wide-format digital print sector. Verpoort’s initial remit is to build channel and direct relationships with companies in Scandinavia. Hollanders said that this is a territory familiar to him as he already has had considerable expertise in that region with all ink-jet technologies, including textile production. He has represented many major manufacturers in the wide-format sector, most recently developing new business for EFI VUTEk in Scandinavia. Prior to this he worked with Polytype’s UV-curable systems and Mtex’s digital textile printers, with previous experience as a sales manager for Agfa Graphics which included textile printing following the company’s acquisition of the portfolio from the former Gandinnovations. Earlier he was sales manager at Renker, now Sihl, and held a variety of positions at Océ Netherlands and the former Océ Arkwright. The expanding range of Hollanders Printing Systems digital textile printers includes the established ColorBooster XL 3.2m as well as the ColorBooster DS double-sided machines. The ColorBooster 250 is billed as a high quality entry-level 2.5m option, with the ColorBooster 250 Carpet Edition designed to handle heavy-weight flooring materials. The company’s digital textile printers are complemented by its ColorWash and ColorFix systems, designed to enable users to increase workflow efficiency.